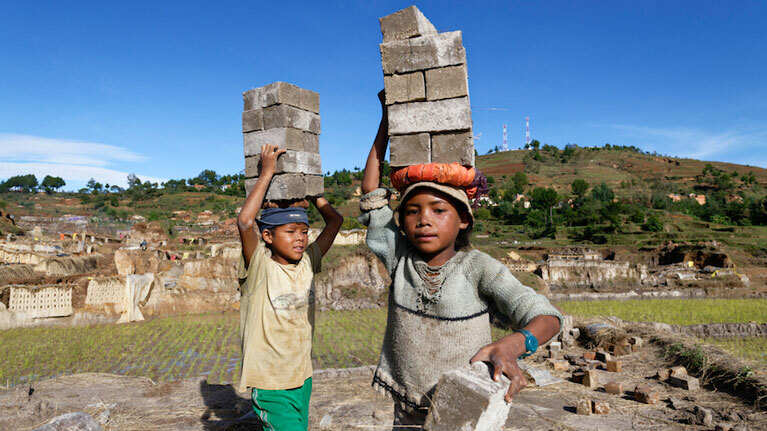 GENEVA, 4 June 2018 (ILO)* – ILO Director-General, Guy Ryder, called for urgent action to tackle the economic root causes of child labour, pointing out that attention needs to be paid not only to global supply chains, but also to unpaid family work in agriculture. “The challenge is not just about globally-traded garments, tobacco and cocoa; it is also about local markets for sorghum, millet, bricks – and it’s about domestic work as well,” he said, at a panel held on the sidelines of theInternational Labour Conference and ahead of the World Day against Child Labour , marked on June 12. Kailash Satyarthi, an Indian children’s rights activist and Nobel peace prize laureate who had led the march, told the panel that much still remains to be done. Sue Longley, General Secretary of the International Union of Food, Agricultural, Hotel, Restaurant, Catering, Tobacco and Allied Workers’ Associations (IUF) stressed the importance of keeping a strong focus on agriculture, which is where about 70 per cent of child labour is.